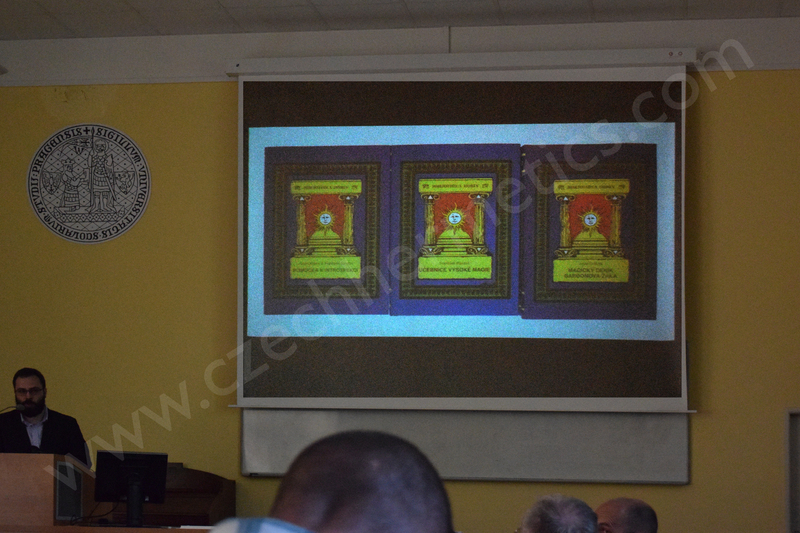 At the end of April 2018, during the Prague Hermetic Conference, our editor, Lukas Louzecky, had a talk about his recent discoveries about Franz Bardon. This included the recently published Magical Diaries of a Bardon Student, by Josef Drabek, which we already informed our readers about, recently, along with another new book that is being released called, Little Works of Franz Bardon, which is currently being prepared. 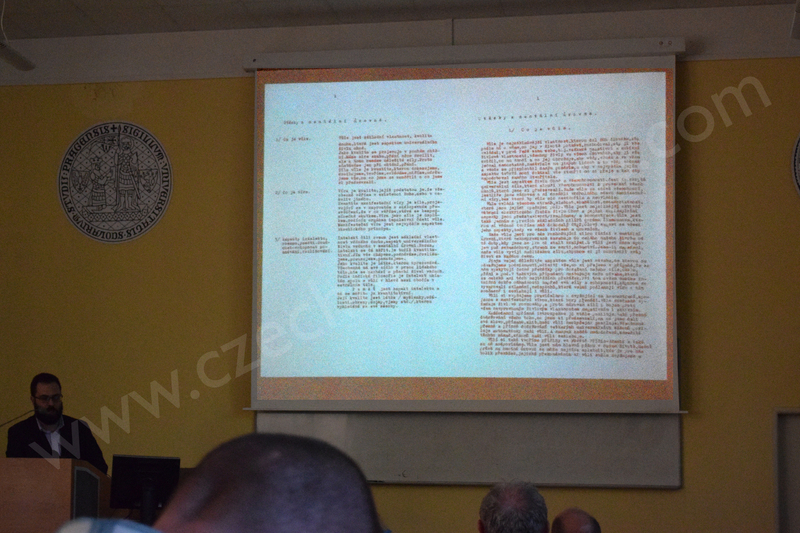 Lukas starts his talk by introducing three books that are related to Franz Bardon, which he recently published in the Czech Republic : An Aid to Introspection by Josef Drabek and Franz Bardon, The Texbook of High Magic by Franz Bardon, and The Magical Diaries of a Bardon Student by Josef Drabek. All of these titles are currently available in Czech only, however, they are all being prepared to be translated into English by czechhermetics.com and Vodnar publishing house. Lukas introduces us to the fact that the Bardon tradition, like many others, had two parts: The part of the tradition that was open to the public and the inner circle teachings, which among other things, included being able to measure the Life Force of other students, along with working practically with Rosicrucian symbols and rituals. The workings of the inner circle of Opava are more closely described in The Magical Diaries of a Bardon Student. In the 1950’s, Bardon was busy putting together and publishing his three main books, leading him to assign his Prague student, Irena Novakova, with the task of working on his Questions and Answers. 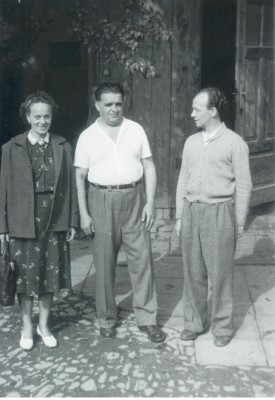 Her texts are dated from 1953 – 1957, however, this text was never meant to be made public, and was only meant to be used by Franz Bardon, himself, as a base outline for the final version of his book. During the time between the years 1956 – 1957, Bardon extensively rewrote the entire text into its second authorized form. The authorized version, however, never made it to a majority of Franz Bardon’s personal students, as he was arrested before he could share it with others, yet the unauthorized text, by Irena Novakova, later made it to a German publisher, and was mistakenly attributed to Franz Bardon and formed the base outline of what later became Questions & Answers. While the version that was written and authorized by Bardon never made it outside of Opava. The authorized text which Bardon wrote had a theoretical section of approximately ten chapters, in which, unfortunately, six of those chapters were lost, however, today we still possess the remaining four chapters of the theoretical section, along with the entire practical section of the book in its entirety. In this picture, we see a comparison of the version written by Irena Novakova and the original and authorized Bardon manuscript, where you can clearly see that in Irena’s version, her answer to a question is only about one paragraph long, while in Bardon’s version, you can see that his answer to the same question is over a page long. In light of this information, we can now assume that Bardon’s authorized version of Questions and Answers, which only existed in one copy, from Bardon’s type writer and with Bardon’s own personal handwritten notes, was supposed to be the practical section of The Golden Book of Wisdom. We would like to remind our readers that we are still looking for any missing documents that are related to Franz Bardon and would like to encourage anyone who is in possession of these documents to please contact czechhermetics.com. We are now currently looking for any imagery of the original painting of the fourth tarot card by Irena Novakova.